CellMark Biopharma, LLC and its CEO have agreed to settle Federal Trade Commission charges that they made false or unsupported claims regarding two health products they marketed as effective treatments for cancer patients’ malnutrition and “chemo fog,” or treatment-related cognitive dysfunction. 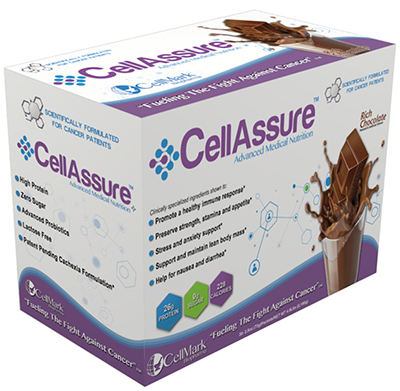 According to the Commission’s complaint, CellMark and its CEO, Derek E. Vest, violated the FTC Act by deceptively advertising two products for cancer patients: CellAssure, to treat cancer-related malnutrition, and Cognify, to treat “chemo fog.” A one-month supply of CellAssure sold for $248 and a one-month supply of Cognify sold for $79. The defendants described Cognify as “the world’s first product designed specifically to alleviate . . . chemo fog . . . .” They also disseminated a YouTube video featuring a breast cancer patient who claimed that after taking Cognify, she could “remember the names of places and people and things” and started “thinking more clearly.” However, according to the FTC complaint, the defendants did not possess scientific evidence that these products provided any of the claimed benefits. The proposed final stipulated order settling the Commission’s charges prohibits the defendants from engaging in similar conduct in the future. It requires them to have competent and reliable scientific evidence to support health claims for any product, and bars them from misrepresenting the results of any study, test, or scientific research. The Commission vote authorizing the staff to file the complaint and proposed final stipulated order was 2-0. The FTC filed the documents in the U.S. District Court for the Middle District of Florida, Fort Myers Division.